This is Beauregard the Wolf. Isn’t he a cutie? He’s one of over a dozen different types of Blabla dolls. They are soft, durable, machine washable and made with natural fibers. My previous Blabla doll review. $21 to $52 at GivingGifts.ca. Use the code “Maple” for 10% off everything at Giving Gifts (expires Dec. 10th). 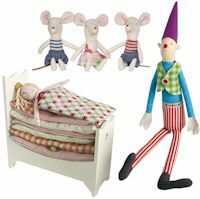 Durable, adorable and quirky, Lilikin & Friends dolls are cuddly, organic and designed here in Canada. My review of Lilikin & Friends. Pre-holiday sale on right now. Purchase one doll for $30 or a set of three for $80. Mice, rabbits, bats, clowns, monkeys and princesses. I adore everything Danish design company Maileg makes. So cute, unique looking and incredibly durable. 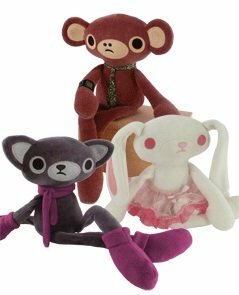 Little Cool Toys is one of the few places you can buy Maileg online in Canada. My previous Maileg doll review. $18 to $120 at Little Cool Toys. Maplelea Girls top the list for favourite things I’ve reviewed over the past year. These high quality all Canadian dolls are a toy any little girl would love to find under the tree. My review of Maplelea Girls. Enter at Multi-Testing Mommy to win a Maplelea Friends doll (ends Nov.30th). 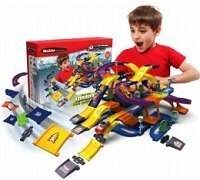 Modular Construction Toys are educational kits that allow kids to build unique 3D Castles and Race Tracks. Almost as much fun for grown ups as for the kids, the kits are customizable and easy to assemble and disassemble. Check out their website for more details or read Multi-Tasking Mommy’s review of the 3D Highway kit. $20 to $70, available online at Amazon.com or in-store at select Toys R Us across Canada. Professor Noggin’s Card Games are fun, educational and manufactured right here in Canada! These award winning themed trivia games are designed for kids ages 7 and up. How about taking your little ones to see some of their favourite characters come to life, in a twist on a holiday classic? 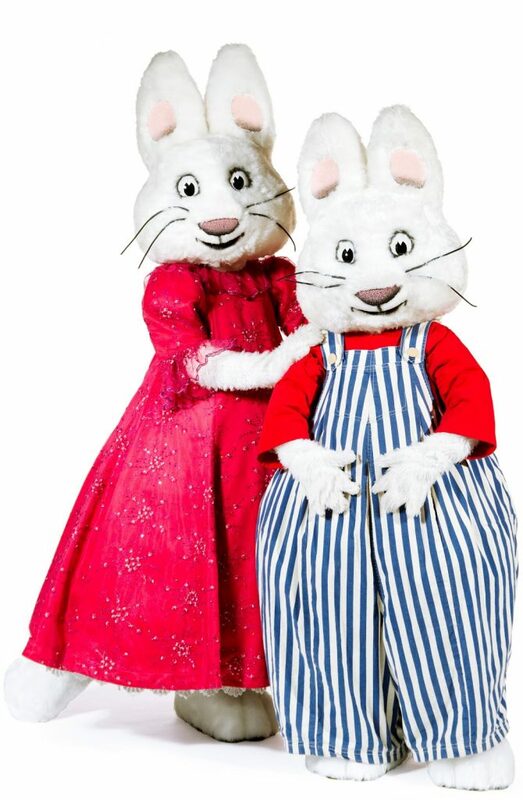 Get tickets for Max & Ruby in the Nutcracker Suite, touring across Canada this December. Look at the official tour website. Get tickets direct from the box office, prices start at $25.50. 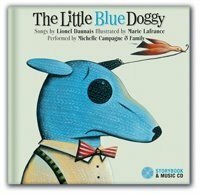 The Secret Mountain is a Canadian publisher that produces gorgeous, quirky, illustrated hardcover picture book & music CD sets. Check out their catalogue of 21 various titles, designed for ages 2 through 7. My reviews of three different book sets from The Secret Mountain. Enter to win any two books from The Secret Mountain. Waverly and the Magic Seashells. 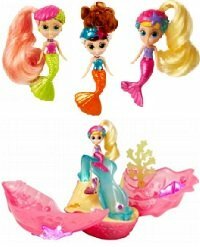 This small doll line allows girls to collect seashells and magic pearls, which unlock new secrets in the Magical Seashell Playset. The Seashell pets are only $5 and are particularly fun. $5 to $25 at most major toy retailers. Everyone knows the highlight of award winning popular kids TV show Yo Gabba Gabba is the songs. Here you get them in CD format. Sure to be a hit with kids in the 2 to 6 set. 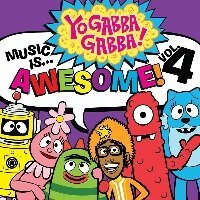 Enter to win one of two copies of Yo Gabba Gabba Music is… Awesome! Vol. 4 (ends Dec.17th). Fun enough to be under the tree this visually based clock is a sanity saver for parents to early risers. 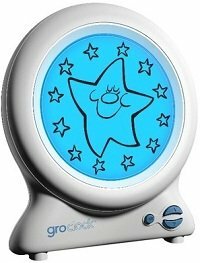 Designed for ages 2 and up, Gro-Clock uses images of the sun and stars to let kids know when they should be in bed and when it’s okay to get up. This is one of my favourite products ever. It’s been a huge success at our house. 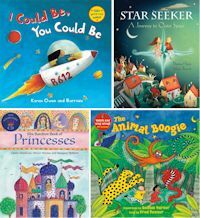 Barefoot Books is an award-winning children’s book publisher that feeds kids imaginations with hundreds of unique, fun and educational titles. 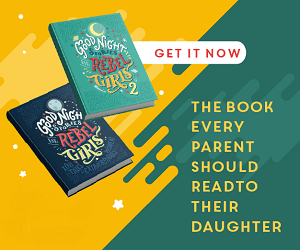 Check out their gift guide to help pick the right book for kids of all ages, from toddlers to tweens. Enter to win $1000 in books and get a code for 30% off. Scholastic Storybook Treasures are a phenomenal line of storybook DVDs. Award winning kids books, classics and new found favourites, all transformed into fully animated, professionally narrated DVDs. 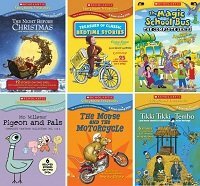 Enter to win $150 in Scholastic Storybook Treasures DVDs (Ends Dec. 8th). Kauzbots are a great way to give back this holiday season. 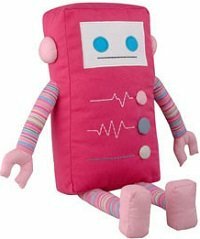 You get an adorable stuffed robot and each one also helps support a great cause kauz. 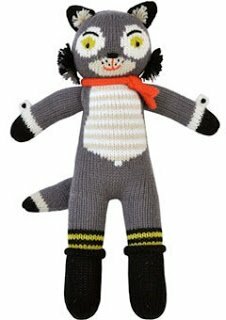 For example this is Kaprice, and 10% of her sale price goes to support the Breast Cancer Network of Strength, and if you buy her from GivingGifts.ca another 10% is donated to the BC Children’s Hospital.